I've just updated the Drug Discovery Resources page on CYP Interactions, included a section on Time Dependent Inhibition (TDI). Prediction of Cytochromes P450 Inhibition, Bioinformatics, 2013, 29, 2051-2052 WhichCyp, a tool for prediction of which cytochromes P450 isoforms (among 1A2, 2C9, 2C19, 2D6 and 3A4) a given molecule is likely to inhibit. The models are built from experimental high-throughput data using support vector machines and molecular signatures. I’ve added two new pages to the ADME section, there are now separate pages for CYP2D6 inhibitors and CY3A4 inhibitors. 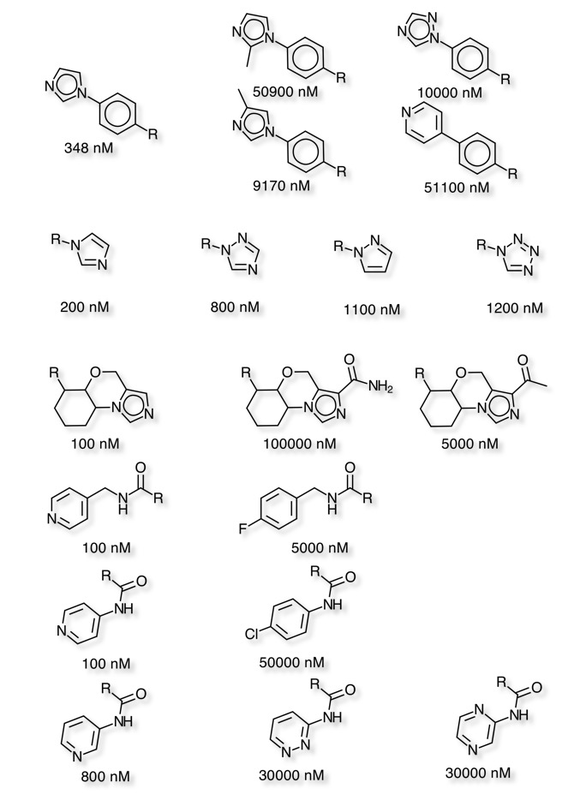 22 July 2014 Updated to include CYP2C9 and CYP2C19 inhibitors.